We have created a sophisticated interaction between the MetroCount Vehicle Classifier System hardware and software that allows us to offer a variety of Option Levels (signatures) with different access to reporting features. Each MetroCount counter has a unique signature that defines which reports are accessible. 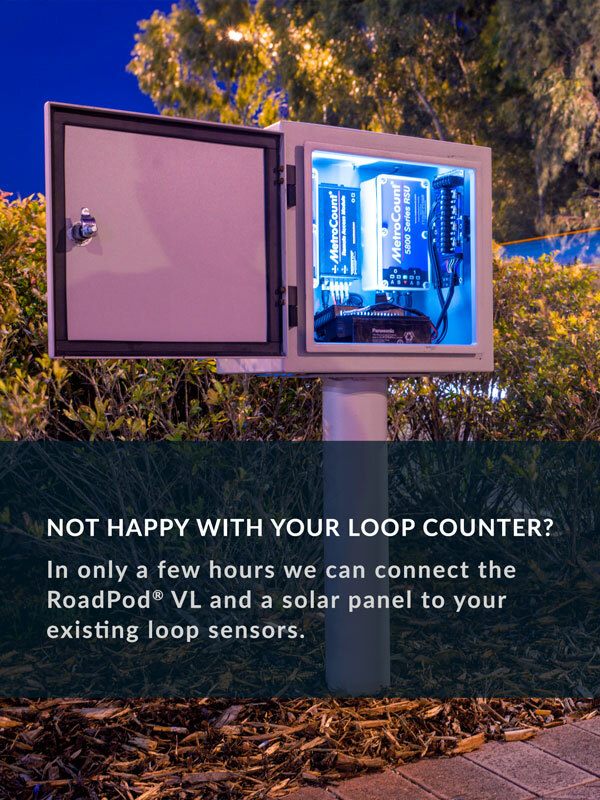 One of the best features of the MetroCount Signature System is that you can easily upgrade the Option Level of your Roadside Units, anytime after purchase, via fax or e-mail. We simply supply you with new Authenticity Signatures, then any new datasets you create will have your new Option Level. One of the best features of the MetroCount Signature System is that you can easily upgrade the Signature of your counter, anytime after purchase. We simply supply you with new signatures, then any new datasets from upgraded counters will have the upgrade capabilities. Old datasets can be upgraded to the new signature, but only by MetroCount. Each Roadside Unit Signature is unique and can not be transferred from one Roadside Unit to another. A Roadside Unit’s Signature is stored inside the Unit. The signature is based upon the Roadside Unit’s serial number and therefore can only be installed on the Roadside Unit with corresponding serial code. If a Roadside Unit signature is lost, then MetroCount will re-issue the original Signature without charge. The Plus Batch signature enables access to all reporting features in MTE with the addition of batch scripting functionality. Batch scripting provides automation of data quality checking and reporting. Custom List Report X X Custom built reports. Weekly Vehicle Counts X X X X Table of hourly vehicle counts, peaks and averages. One week per page. Weekly Vehicle Counts (Virtual Week) X X Table of hourly vehicle counts, peaks and averages. Compressed into one week. Vehicle Counts X X X X Report optimized for vehicle counts. Vehicle Counts (Virtual Day) X X Report optimized for vehicle counts. Compressed into one day. Daily Classes X X X Class volumes and percentages of daily and weekly flow. Daily Classes by Direction X X X Class volumes and percentages by direction. Class Speed Matrix X X X Table showing speed versus class, with totals. Speed Separation Matrix X X Table showing speed versus vehicle separation, with totals. Rolling Day Totals X X Daily volume and speed summary in rolling format. Adjusted Vehicle Flow X X Report showing AADT and ADT. Custom List Report X Custom built phase reports. Data Phase Report X Individual vehicles ordered by phase, with speed statistics. Phase Statistics X Phase timing statistics.